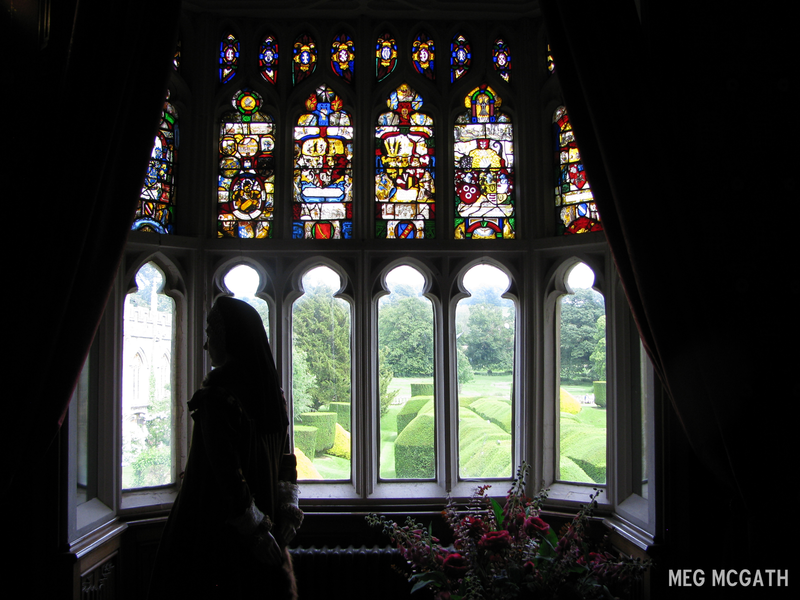 Lady Anne Herbert stands in the nursery looking out the window. Lady Herbert (now Countess of Pembroke) was the First Lady of the Privy Chamber and Groom of the stool. Photo credit: Meg McGath. In early February of 1549, the late Dowager Queen’s good friend and former lady-in-waiting, Elizabeth Tyrwhitt [or Tyrwhyt, born Elizabeth Oxenbridge], gave her account of the state of mind and behavior of Queen Katherine on 3 September 1547 as she lay dying. Lady Tyrwhitt made this sworn deposition during the time that the Lord Seymour was being interrogated for treason. The original was transcribed and published by Samuel Haynes in ‘A Collection of State Papers, Relating to Affairs..From the Year 1542-1570, Transcribed from Original Letters and other Authentick Memorials, Never before Publish’d, Left by William Cecill Lord Burghley, and Now remaining at Hatfield House in the Library of the Right Honourable the present Earl of Salisbury,’ (London, 1740), 103-4. The document is not listed in the interrogation of Lord Seymour; Haynes seems to be the unique source for a presumably lost original. Death scene of Queen Katherine played by Deborah Kerr and Stewart Granger as Thomas Seymour in “Young Bess.” Kerr had a strong resemblance to the real Queen Katherine. 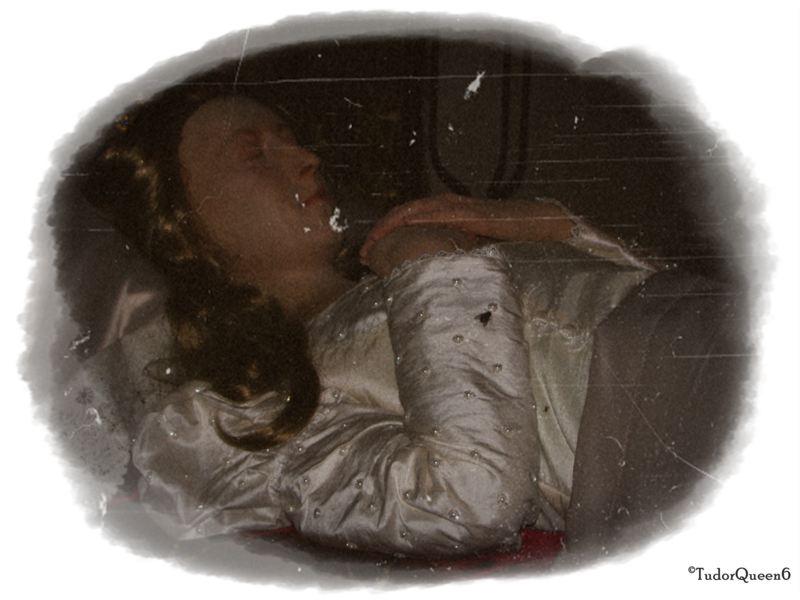 Katherine Parr lies in state at Sudeley Castle © Meg McGath, 2012. Linda Porter. ‘Katherine, the queen,’ Macmillan, 2011. This entry was posted in The Dowager Queen Katherine (1547-1548) and tagged catherine parr, confession of elizabeth tyrwhitt, death of Catherine Parr, death of Katherine Parr, elizabeth oxenbridge, final hours, katherine parr, Lady Tyrwhitt by tudorqueen6. Bookmark the permalink.